Los Angeles County Museum of Art – better known as LACMA, is a snapshot of this great city. As a member, I get to go as often as I want. If you haven’t been, shame on you. Wilshire and Fairfax. Art. Everyday. I’ve said enough..
A bright campus with amazing exhibits. 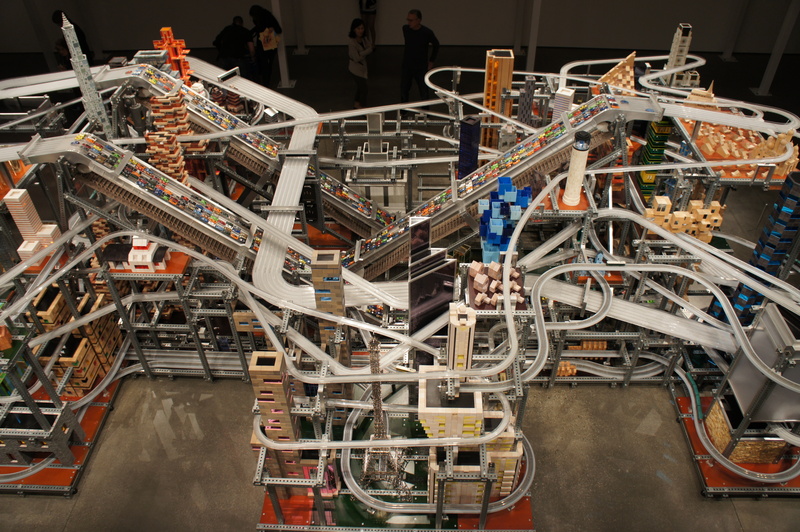 Metropolis II was created by Chris Burden – amazing to watch this exhibit in action. Chris is also the creator of the lamp exhibit in the front of the museum. Yes, it’s worth a visit. Trust me.